I would like to invite you to attend my show, Dogmatic. I have worked very hard on it and I am a very charming performer. But these things alone do not maketh a show. I need you. I need you to buy a ticket, attend the relevant session and laugh at me. What a darling team we will be. 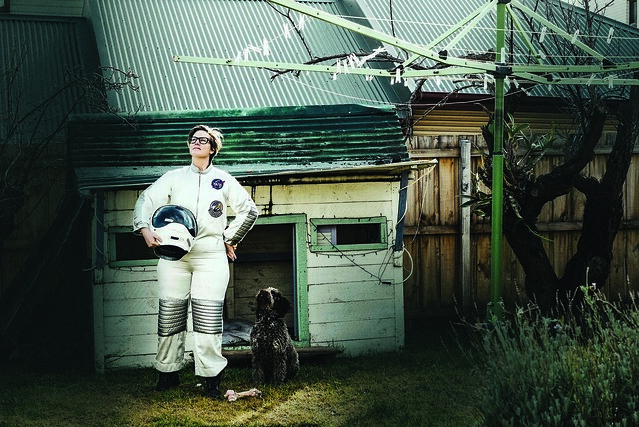 Hannah Gadsby is one of Australia’s most distinctive comic performers. A storyteller par excellence with a joke rate that most dads at a family BBQ would envy, Gadsby is guaranteed to tickle your humour fancy, if not split your sides, as she takes you on an unforgettable journey through her unusual brain. Her droll delivery, delightful wordplay and self-deprecating observations have delighted audiences all over the world, drawn critical acclaim and a swag of awards. A regular on our TV screens, Gadsby is at her absolute best when she is playing herself, so much so she was cast in ABC TV’s hit comedy series Please Like Me where she stars as the character Hannah. She is not really acting. In Dogmatic, Gadsby will be attempting to explain her thought processes and the woeful life choices that have led her to where she is today. You will laugh. She will remain confused. Following a sold-out season at Melbourne International Comedy Festival, Dogmatic plays at the Belvoir St Theatre for two weekends in May. Hannah Gadsby & Doug. Image: Alan Moyle.